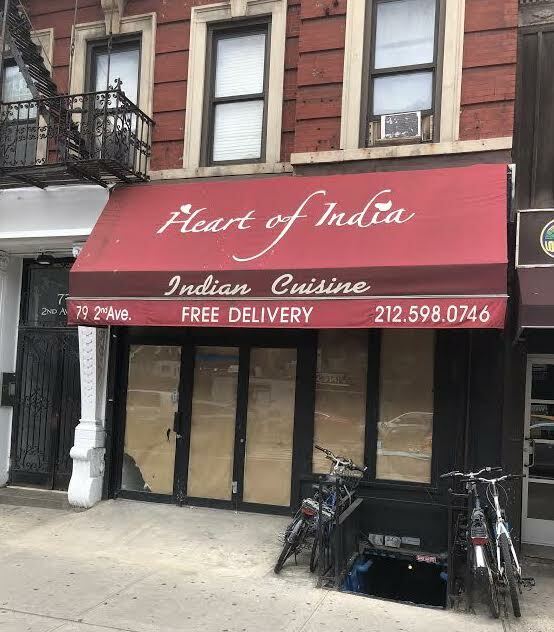 The owners of Calexico, the Cal-Mex burrito-beer chainlet, is vying for the current Brick Lane Curry House space at 99 Second Ave. 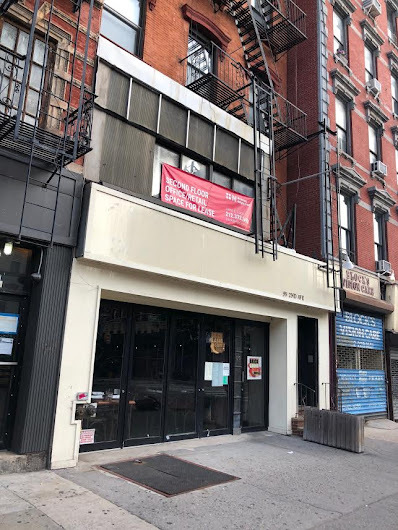 The questionnaire posted to the CB3 website (PDF here) shows proposed hours of 11 a.m. to 2 a.m. daily. The layout features 15 tables inside and six tables for a sidewalk cafe ... plus a 14-seat bar. 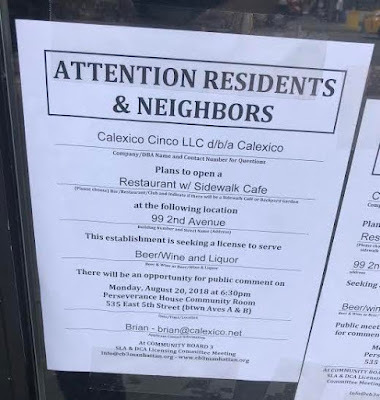 Calexico currently has a handful of NYC locations (Upper East Side, Greenpoint, Park Slope, Red Hook, among them) as well as in Detroit — and Bahrain. Brick Lane Curry House made the move from Sixth Street to 99 Second Ave. in August 2014. The August CB3-SLA meeting is tonight at 6:30 in the Perseverance House Community Room, 535 E. Fifth St. between Avenue A and Avenue B. Bottom two photos via Steven. Brick Lane is good, but overpriced, and got more-so when they moved....likely because because of a rent increase.